Even as the weather changes, the evenings here are quite chilly. A warming cup of oolong is exactly the right fit for a slow evening at home. 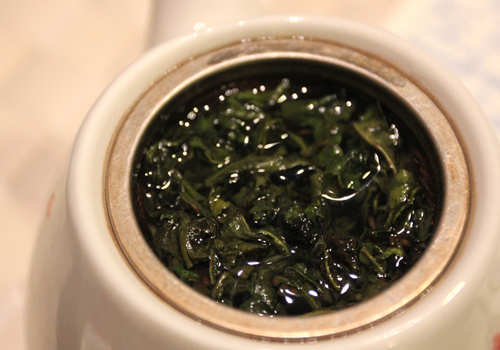 Teavivre’s Tie Guan Yin tea is an excellent accompaniment to any evening. The flavors are full and rich, making a very satisfying cup of tea that lasts for multiple steeps. The dry leaf fragments are large and varied in size. 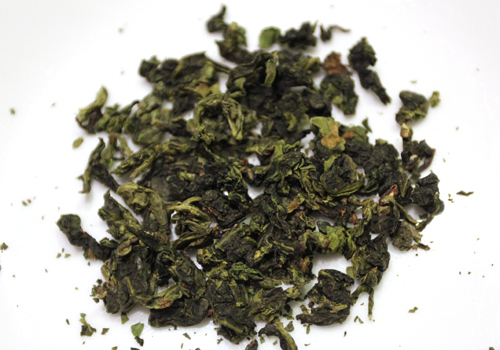 Many oolongs come in irregular bundles like this, but are primarily composed of leaf and a twiggy stem. In this case, this is a mix of large leaf fragments with only the occasional woody stem. Tie Guan Yin seems to vary quite a bit. 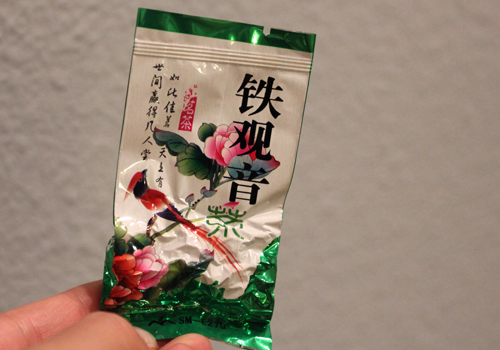 In this case, this is a very lightly fermented tea which is still quite green and not highly oxidized. As a result, the flavors can be expected to be lighter and sweeter, with less for the floral notes from a more heavily oxidized oolong tea. The smell of the tea is fresh and slightly floral. As it steeps, the tea unfurls into large, full leaves. The liquor is a bright and clear yellow. Even though the direction calls for 212 degrees, I was reluctant to start off with such a high temperature in case it cooked the leaves and left them bitter. I let the freshly boiled water rest for a few minutes before steeping the leaves, and steeped it for a full 3 minutes. As they steep, the leaves begin to leisurely unfurl in the steaming water. The smell is fragrant and promising. The taste of the tea is wonderful and satisfying. With some experimentation, the tea is quite resilient with longer steeps, imparting a flavorful cup. 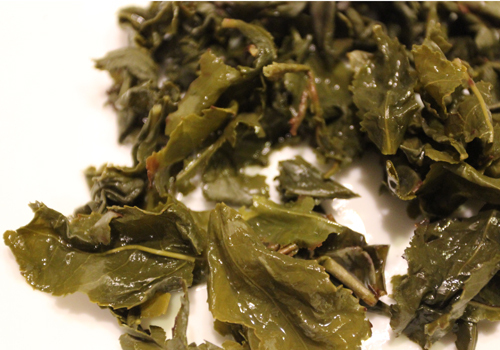 An excellent green oolong with a lasting flavor and a slight hint of astringency. It isn’t too green or floral, but just right. The tea carries well into a second and third steeping, which I just couldn’t resist. Definitely a keeper for me. You can purchase this tea from Teavivre’s website at prices ranging from $10.50 for 3.5oz to $47.50 for 17.5oz.